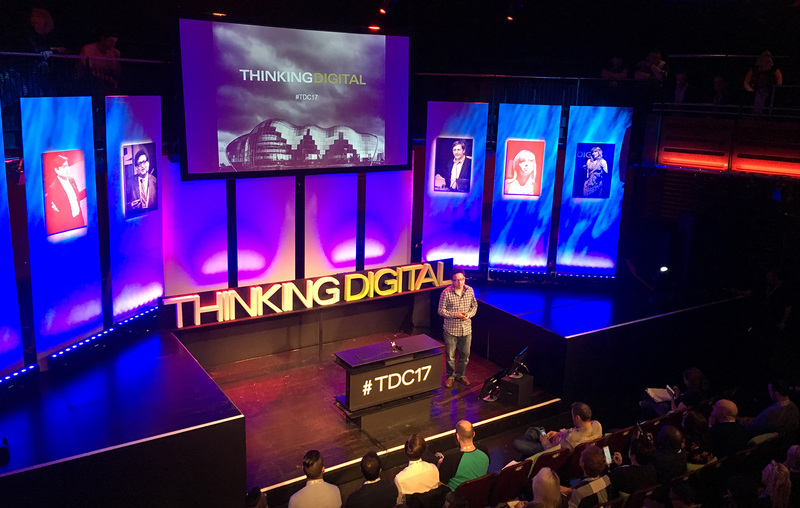 You may remember we had a lovely time at the Thinking Digital conference last year. 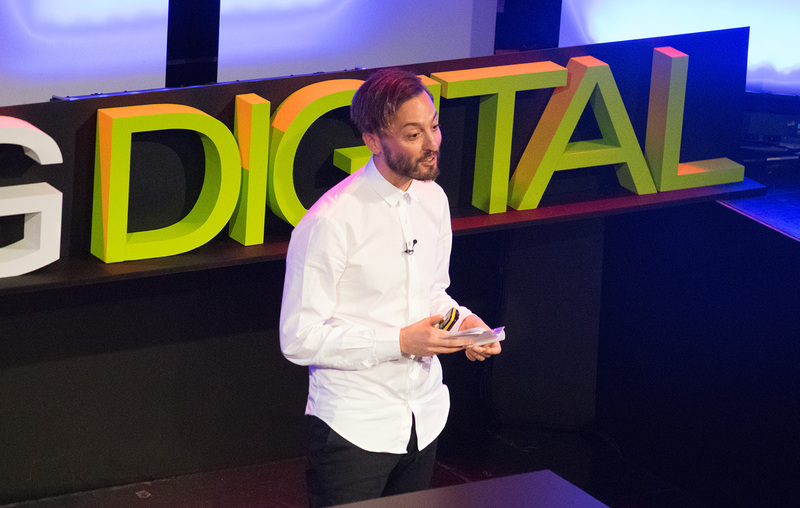 Such a lovely time in fact that this year we sent three more members of the Union Room team back to see what’s new in the world of digital, and to keep us up to date with the latest trends, breakthroughs and technologies. Overall, the day was fantastic and very inspiring. We really think it’s brilliant that the event continues to be hosted in the North East each year. The free cakes weren’t bad either. As a fellow designer, I found Adrian Westaway’s talk on his approach to design really inspiring. Co-founder of London-based product studio Special Projects, Adrian is also – rather randomly – a full member of the Magic Circle and brings a completely fresh way of thinking to all of his projects, applying a little sprinkle of magic to the user experience where possible. His work for Samsung was a standout for me in particular. The brief was to redesign the experience of purchasing a mobile phone for the older generation. Special Projects looked at where the ‘dips’ in the whole experience were and found that users were excited to start using their new phone initially . But this all stopped after unpacking the product, as the older generation headed straight for the user manual. Subsequently this is where the process fell down. Adrian and his team decided this was the area they wanted to concentrate on and went to work to create something much more ‘magical’. They arrived on the idea of providing the user with two interactive books. 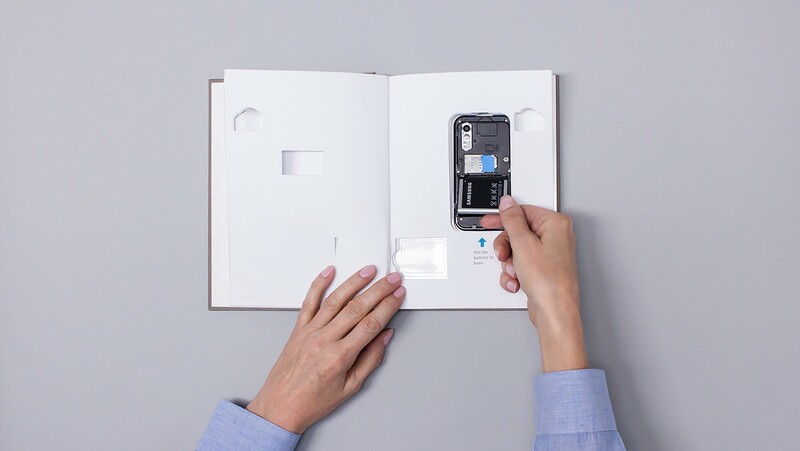 The books allowed the user to place the physical phone inside the book itself and meant the instructions could point directly to what they needed to do on the phone. Merging analogue with digital. A simple idea but yet genius all at the same time! Once the user had setup their phone they moved on to the second book to explore the features of the phone in an easy to follow interactive manner. Adrian spoke about other projects where he used the same unique approach with similar results. I went away really thinking about how we could apply a touch more magic to our designs here at Union Room in the future. Sophie is a sleep evangelist and has been awarded an NHS Innovation Accelerator Fellowship to help promote the use of digital medicine in the NHS. 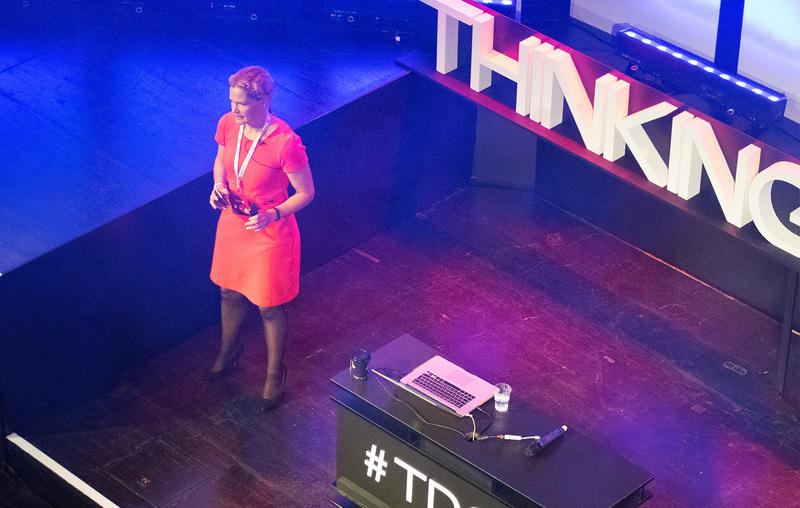 Sophie’s talk focused on how technology can improve the mental health of human beings. In particular, Sophie discussed how the app Sleepio has been shown to reduce the rate of narcolepsy during clinical trials. According to Sophie, approximately one in four of us will experience a mental health issue each year. The prescription of antidepressants in the United Kingdom has doubled in the last 10 years. This costs the NHS hundreds of millions of pounds per year, contributing to the financial strain on our health service. Sophie discussed the challenges that Big Health face when trying to introduce technology into the health service. They have gone through similar clinical trials to that of physical medicine in an attempt to prove just how effective digital medicine can be. Approximately one million people are already using Sleepio, and it is genuinely helping people with mental health problems. Thankfully, Sleepio is part of what looks to be a growing catalogue of online mental health services provided by the NHS. Mental health is recognised as being one of the most underfunded areas of the health service. Therefore utilising technology could save our government money, while helping people take control of their mental health via their smartphone. Justin is the director of DARPA’s Biological Technologies Office. Justin’s talk was about how DARPA’s innovations have helped inspire the tech industry. This includes, most notably, helping invent the internet – which we’re pretty thankful for! 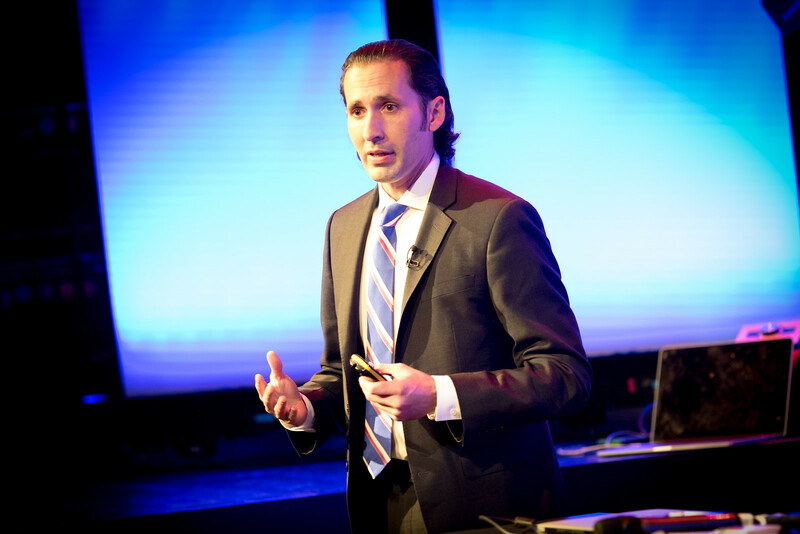 The talk focused on DARPA’s work on neurotechnology. This included the visualisation and decoding of brain activity and using them to control robotic prosthetics. Justin discussed how DARPA had been able to help patients who lost limbs or were paralysed. Nathan Copeland has been paralysed for over a decade. DARPA was able to help him feel physical sensations through a prosthetic hand connected directly to his brain. This amazing technology meant that Nathan was able to identify which finger was being touched when blindfolded. Nathan went on to meet President Obama and was able to feel Obama shake his hand through a mind controlled prosthetic arm. Justin also discussed the future of this technology. Potentially a world where, incredibly, we could store memories directly from our brains. This would allow us to access memories which we may have previously forgotten as we age. Very clever!